Like I said, I have 50+ in these masks. I have been using them every other day. I got all of the different kinds to try but just decided to pick the Collagen one to review. 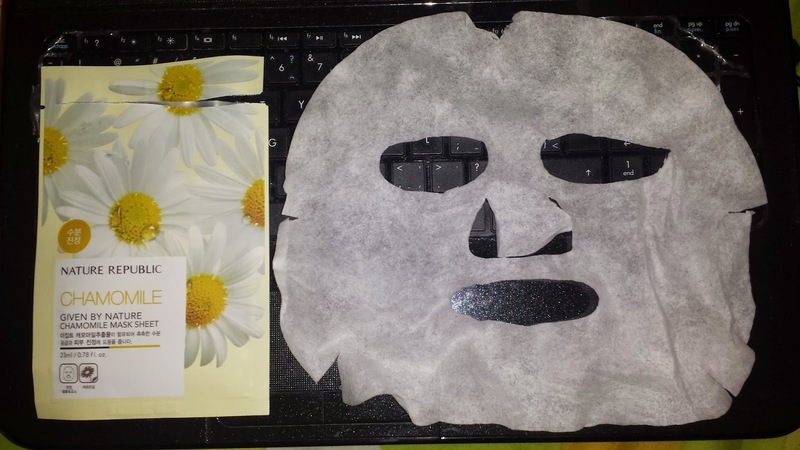 I already reviewed the Green Tea mask from the From Jeju Memebox a while back. This is from the same line, so it has the same issue where the sheet mask and the eye holes are tiny. The sheet mask is enough to just fit my face and the eye hole is just enough as well. If you find it too small, just use a pair of clean scissors to cut open the eye hole. The mask is sturdy enough for me to adjust without tearing it apart. I also rub the extra essence on my body and it still retains its shape. This a cream type of mask instead of a watery one like the Green Tea one. It has a light smell but I can't quite put my finger on what it is. There is still enough essence left in the package for me to use as extra body lotion for my legs. I find the mask to provide moisture but I don't know if it does firm up my skin. I didn't find my skin to be extra firm the next morning. Though for the price I paid, which was about $0.60 CAD, it's not bad. I have also tried the Hyaluronic Acid, Royal Jelly, Mango, Coenzyme Q10 and Lemon masks. I like the H-acid and the Royal jelly the most as they provide the most moisture. Smell wise I like Mango as it has a light sweet smell. 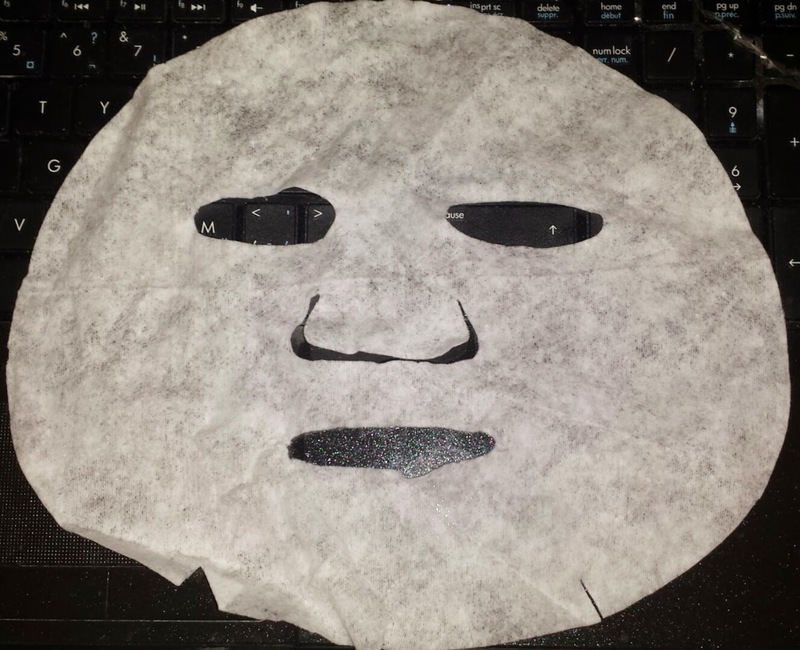 This mask was given to me by my friend from Hong Kong. Nature Republic is her favourite brand so she brought some back for me to try. 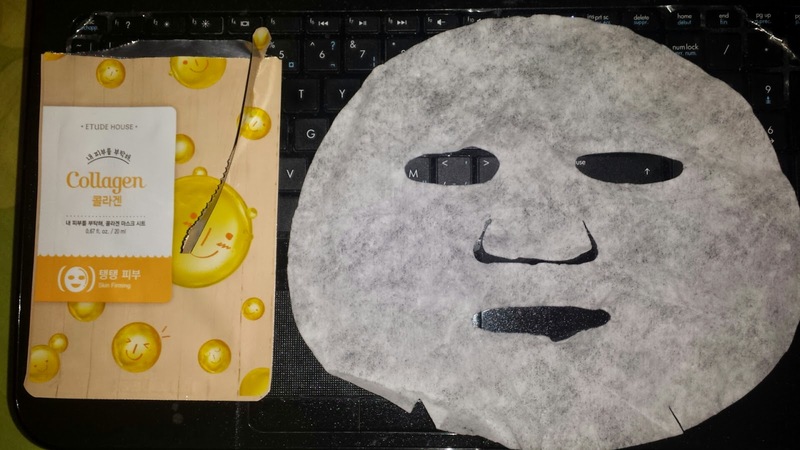 The mask has a clear solution and there wasn't much left in the package. The mask doesn't smell like much, which is always a plus in my books. 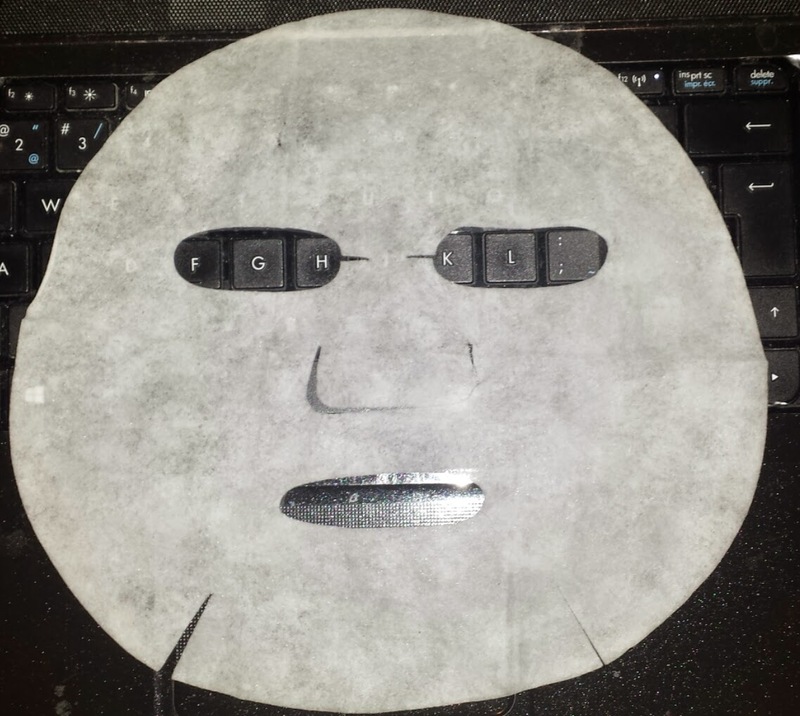 The actual mask is a rounded rectangle instead of an oval shape. It has big enough eye hole but due to its shape, I have extra creases along my jaw line.. My complaint for the mask is that it is easily torn. I was just trying to adjust it to go closer to my hair line and I ripped it, you can see there is a corner missing on the top of the mask. I also accidentally torn the left eye area too. So I am not impressed by its sheet quality. 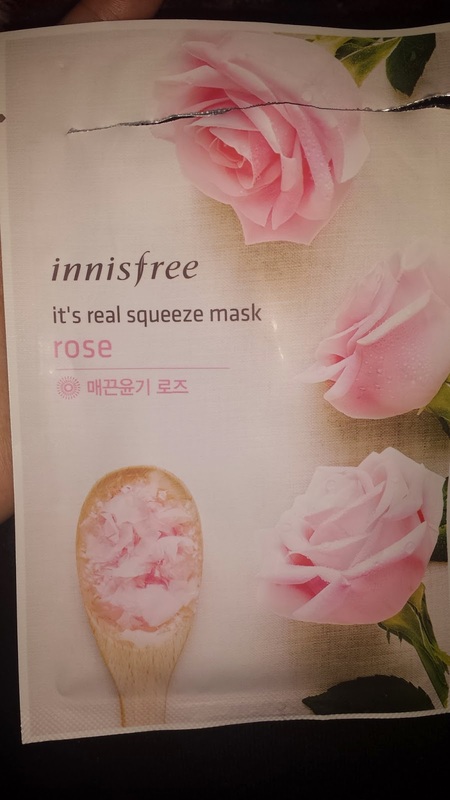 This mask was a random mask I picked up from my Innisfree haul to make up the required amount. I been hesitant to try it as I only had one. But I decided it was time to try it. 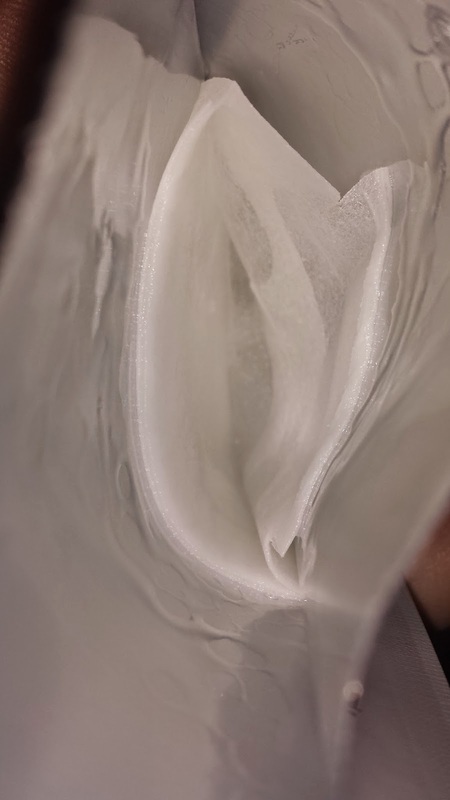 The sheet mask is drenched in a clear solution and has a light floral smell. There is enough to drench the mask but not enough left behind to cover my legs. The mask is a roundish oval shape. It has a small eye hole but not as small as the Etude one. I find the fit to be okay, not as well as the Etude one but not super large on my face. I really like the feeling of the mask. It is claimed to be triple layered, and I can tell there is a difference between this and the rest of the masks. 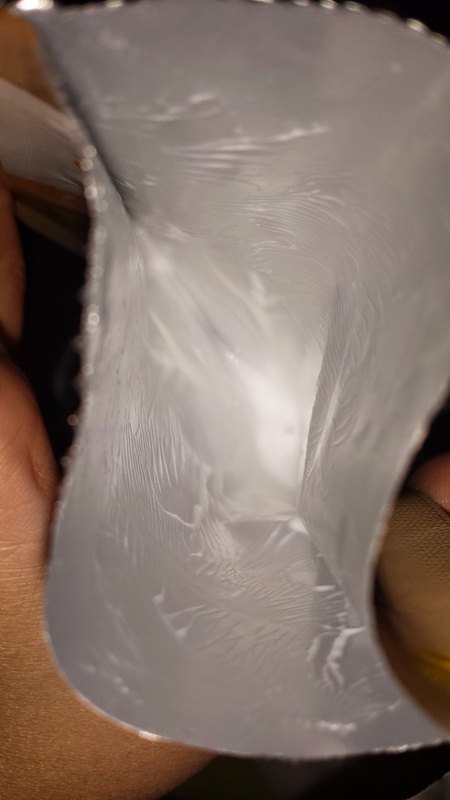 When I pulled it out, I thought I got a gel mask because the mask feels so different, like there's a layer of gauze to trap the essence. 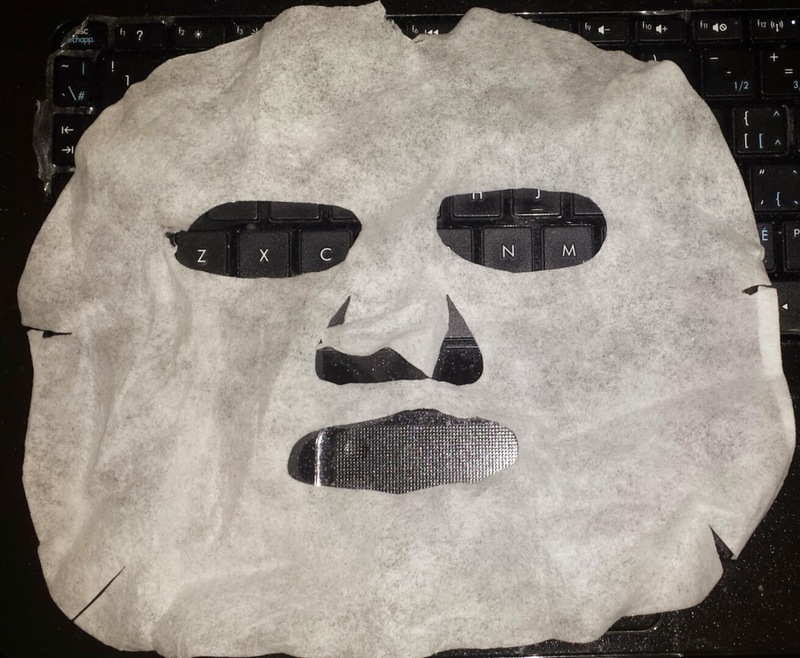 But when it dries, it looks just like any other masks. This is my favourite mask right now. I loved having it on and my skin looks soft and supple afterwards. I am trying to track down more. I am waiting for Innisfree to have the 1+1 sale on this mask so I can use my free shipping coupon. But they just had the sale a while ago so I don't think it will be back before my coupon expires. Overall thoughts: My favourite mask is the Innisfree mask, followed by Etude and then Nature Republic. I am really impressed with the feel of the mask but not impressed with its price after shipping. It is definitely worth getting when there is a sale. I like the Etude house mask as they are cheap and provides moisture like a sheet mask is supposed to. 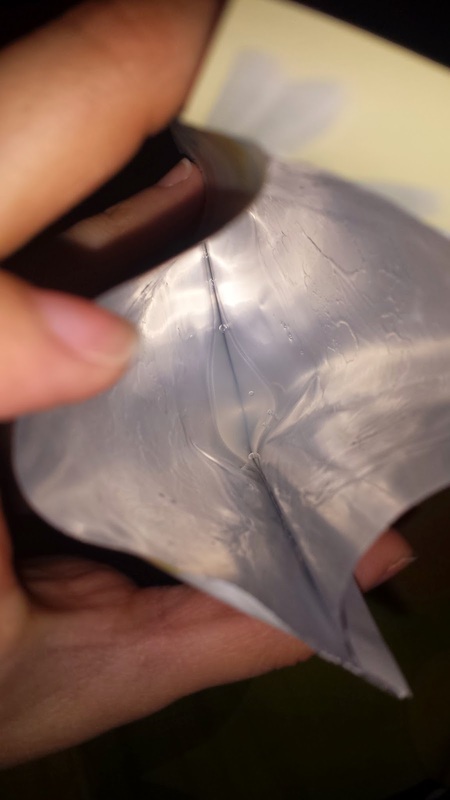 I don't like Nature Republic primarily due to its sheet quality. It's just too thin for my liking. Add to that the fact that I may have broken out from it, I just have to put it on the bottom of my list. Though I am willing to give it another try as I got a Tomato one too.